The Annapolis Heritage Society and The Historical Association of Annapolis Royal are pleased to offer an unforgettable New Year’s Holiday Program at 7 p.m. on Tuesday evening January 3, 2012 in the Lower Hall of St. George & St. Andrew United Church in Annapolis Royal, Nova Scotia. Entitled A Reluctant Engagement: Mi’kmaw-European Interaction along the Annapolis River at the Beginning of the Eighteenth Century this interesting presentation will use census data and local parish records to compare local Mi’kmaw experiences to those elsewhere in peninsular Mi’kma’ki (modern-day Nova Scotia), expanding our understanding of Mi’kmaw interaction with European officials and Acadian settlers. In 1605 Pierre du Gua, the sieur de Mons, and Samuel de Champlain chose to build their small French outpost along the Annapolis River in part because of a nearby (and friendly) Mi’kmaw community. But, aside from the first few years of settlement, Europeans did not record much about the specific group of people who lived along the river’s banks during the seventeenth and eighteenth centuries. Although there is little source material remaining from this period, the British conquest of Port Royal provides an important opportunity to gain insight about this local Mi’kmaw population. Guest Speaker is Thomas Peace, SSHRC postdoctoral fellow at Dartmouth College in Hanover, New Hampshire. Developing from his PhD research on Aboriginal experiences of the conquest of New France, Mr. Peace will share his work on the Kespukwitk Mi’kmaq at the turn of the eighteenth century. His PhD research, completed at York University in September, compared Mi’kmaw and Huron-Wendat experiences of the British conquest of Acadia and Canada. Tom has a master’s degree in history from Saint Mary’s University and a bachelor’s degree from Acadia University. In addition to his studies, he is an editor at ActiveHistory.ca and avid canoeist. 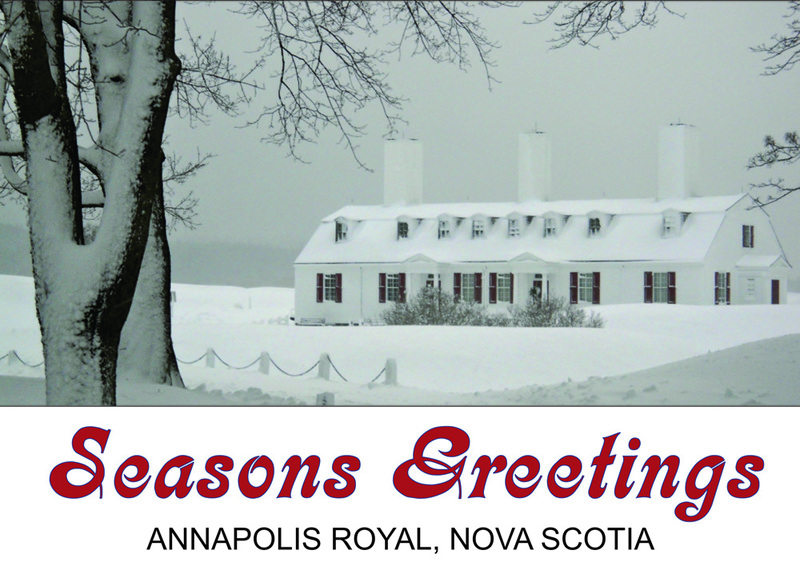 On behalf of all of the businesses and citizens, we wish you and your loved ones the very best for 2012 and hope you come in person to Explore Annapolis Royal in the coming year. This entry was posted in Explore Annapolis Royal, Heritage and tagged Annapolis Heritage Society, Explore Annapolis Royal, Historical Association of Annapolis Royal, Thomas Peace. Bookmark the permalink.